However, Maine is also one of the rare states with an advanced fiber-optic network, called the Three-Ring Binder, strung throughout its territory, connecting (some) rural areas to (some) population centers. 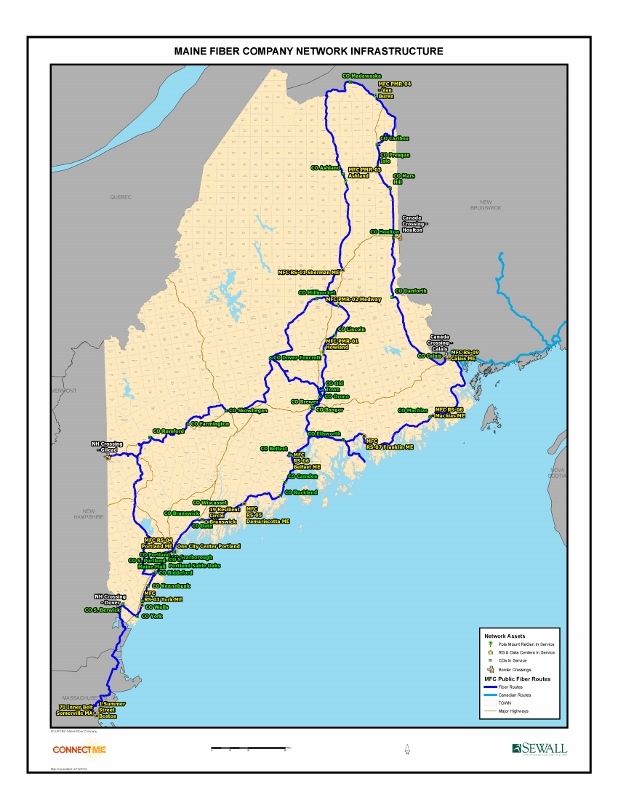 Maine Fiber Company owns and operates an extensive high-capacity dark fiber network in the northeastern US. The network is largely an open-access middle-mile infrastructure and is available to all carriers and service providers on a non-discriminatory basis. So that’s the good news; we have a solid foundation. But there are many barriers to broadband expansion and competition in Maine, including geographical barriers (rural sparsely-populated areas) that discourage commercial profit-driven development, and also opposition from incumbent telecom companies who strive to make pole attachment difficult and lobby (and litigate) against community-owned networks. Where market forces have failed to provide choice, quality of service, and modern speeds, a feasible solution is for communities to build their own networks, as Rockport did (see news story). Maine, with its Three-Ring Binder network, has the necessary “dark fiber” to allow communities and local service providers to connect and offer very fast speeds at lower prices than the incumbents. Check these informative resources to learn more about the national movement for community-owned broadband. Susan Crawford, a cyberlaw professor, telecom expert, and advocate for community-driven development. As a software company owner and resident, my vision for Maine in the 21st century is for us to become a State with the highest percentage of its population connected via Gigabit Fiber networks —to each other, and to the world. Why “Gigabit”? It’s all about the speed of getting things done. 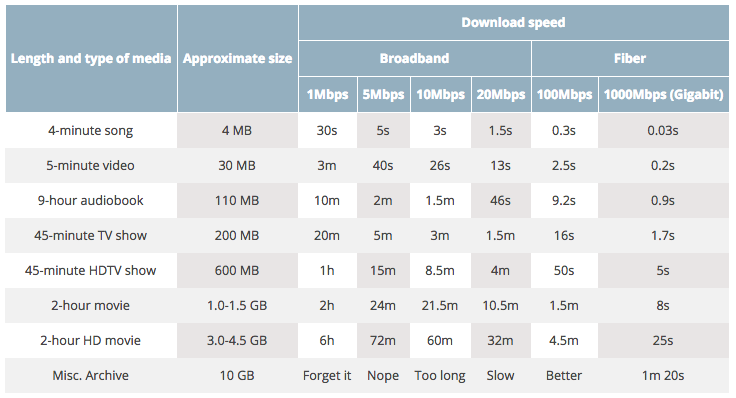 We especially need improvements to our upload speeds, where the lopsided difference is indefensible by existing providers (it’s about economics, not physics). Quick quiz: do you know why your office downloads are (somewhat) fast, but upload speeds are slow, at around 5Mb or 10Mb? Short answer: internet providers built out their networks as if the internet was passive TV; we can consume data but we can’t easily “broadcast” or publish anything ourselves. To understand how measurements are made, learn this simple rule: “Bytes are for storage, bits are for data” and the ratio of: 1 Byte = 8 bits. So this means you could describe speeds or file sizes interchangeably, by converting “bits-to-bytes” but it’s best to stick with the B (storage)or b (data) as appropriate. e.g. 8Gb (speed) = 1GB (file size), and 1Gb (speed) = 125MB (file size). 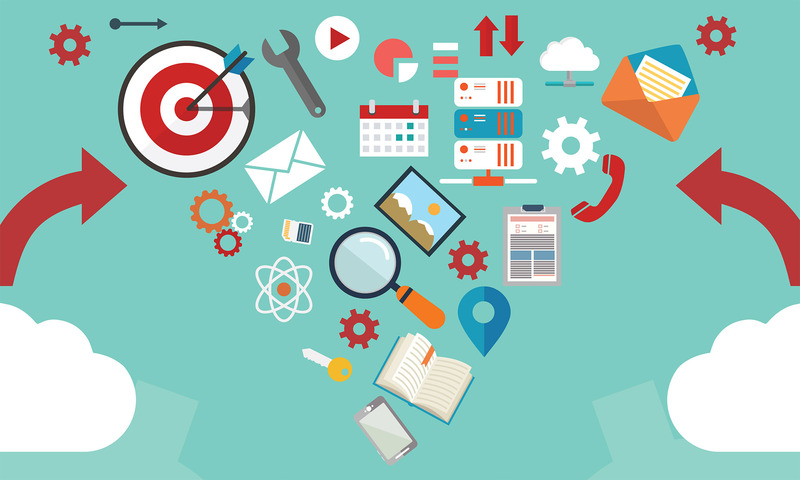 Let’s study a particular use case: online (cloud) backups, for personal or corporate archiving. 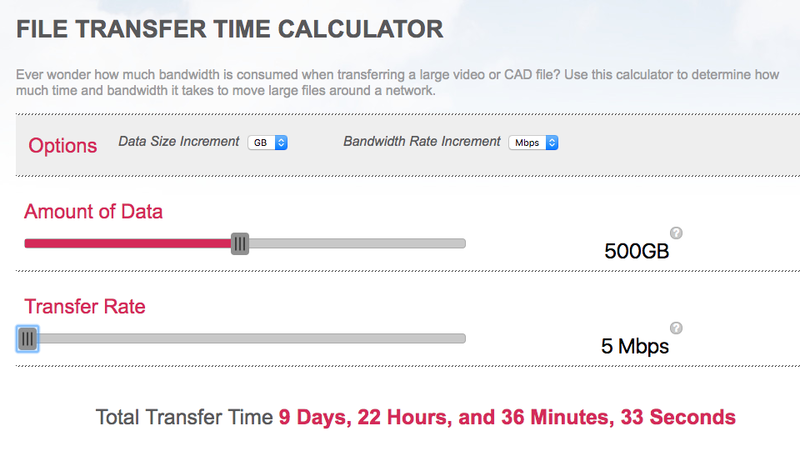 Let’s say you have a small 500gb hard drive that needs continuous, offsite backups… here’s how long it would take to do the initial upload to a cloud backup service over 3 different upload speeds. That’s over 9 days to do a first-time sync. Ever completing that transfer is highly unrealistic, especially if its with a laptop that you need to take from office to home and back, interrupting the progress. A 5 hour transfer time is much more reasonable; set it in motion before bed and by the morning it will be complete. Just think of how productive we could be with video uploading and sharing projects (like uploading your marketing videos to Youtube); with transferring gigabyte datasets across corporate locations; streaming Virtual Reality data in real-time; and many more business activities—and I am purposefully not mentioning the benefits to all the myriad entertainment services available, since such “non-critical” uses (download 40 music files per hour! watch 5 different movies at home!) can be used to detract from the urgent necessity of better speeds for actual business or professional applications. …better government planning in South Korea has improved internet connection speeds across the country dramatically. Additionally, a competitive Korean ISP market has led to exceptional service levels for end users. In the city of Cheongju, average internet speeds to citizens of 124.5Mbps are standard. Further, 1Gbps internet plans are available in South Korea for just $20 USD. The ConnectME Authority Board currently defines effective broadband as 10 Mbps/10 Mbps – 10 megabits down and 10 megabits up. Areas that have maximum available broadband speeds of at least 10 Mbps/10 Mbps are considered served. 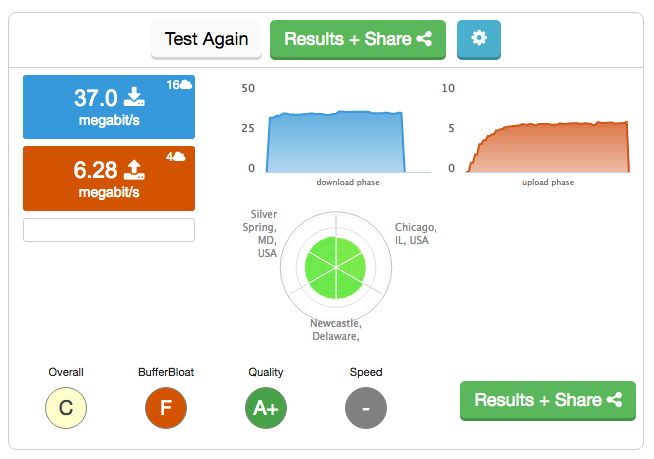 Areas with available broadband speeds that are lower than 1.5 Mbps download are considered unserved. Areas where the maximum available service is between 1.5Mbps download and 10Mbps/10Mbps are considered underserved. 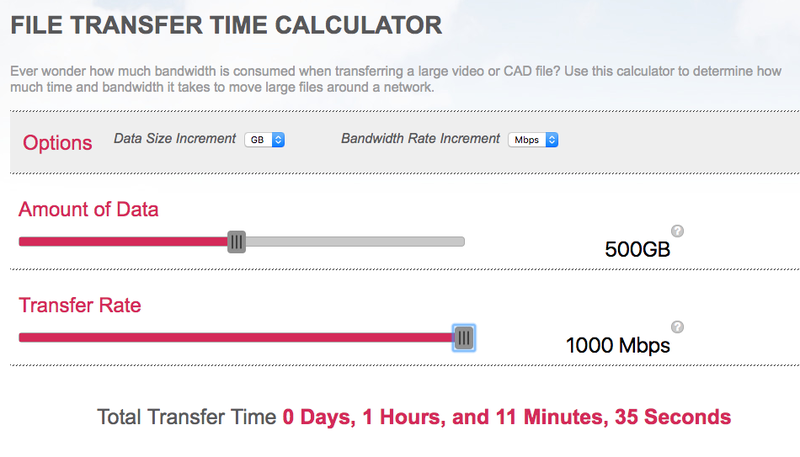 This is a shared cable network, so when other users nearby are using the internet, speeds will slow. 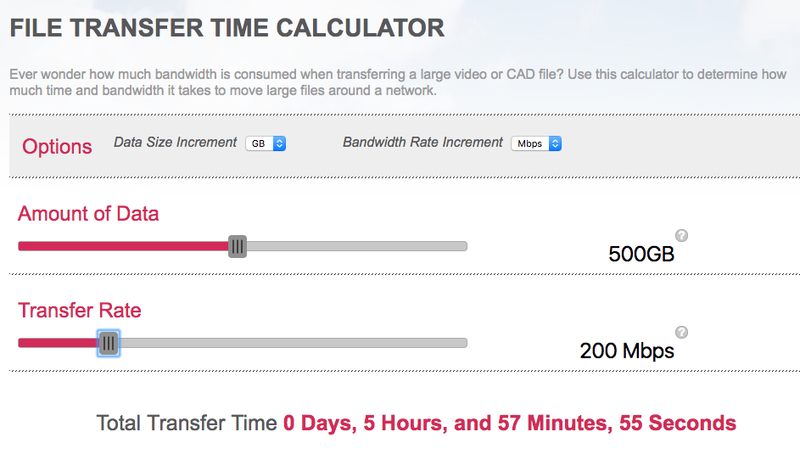 But 6Mb upload is not acceptable in today’s world, and according to Maine’s standards. What can be done? Ask your ISP for faster upload speeds. When they tell you it’s impossible or will cost $500–$1,000 per month for a “business plan”, go to steps 2–7. Join the Maine Broadband Coalition (visit their website) and track the latest issues concerning our state. Ask your State Rep or Senator (find them here) for help in encouraging any state-level initiatives to help Maine advance the cause of 21st century connectivity. Ask your town to join Next Century Cities; we have 6 in Maine so far! Buy your service from an ISP (internet service provider) who offers better packages than the bigger brand names. Ask your town if they have plans to create a municipally-owned or managed “internet utility” to fill voids left by the private sector. Good and helpful article. Bits and bytes explanation I have not seen elsewhere. Hi Martin, thanks for the comment! I just followed you on Twitter. Thanks for your service on behalf Biddeford!